Several active and retired military veterans will be recognized at two separate events Nov. 10 on the University of North Georgia (UNG) Dahlonega and Gainesville campuses. The Corps' parade will be at 3 p.m. Nov. 10, with Mike Roby, the commissioner of the Georgia Department of Veterans Services, as the guest speaker. 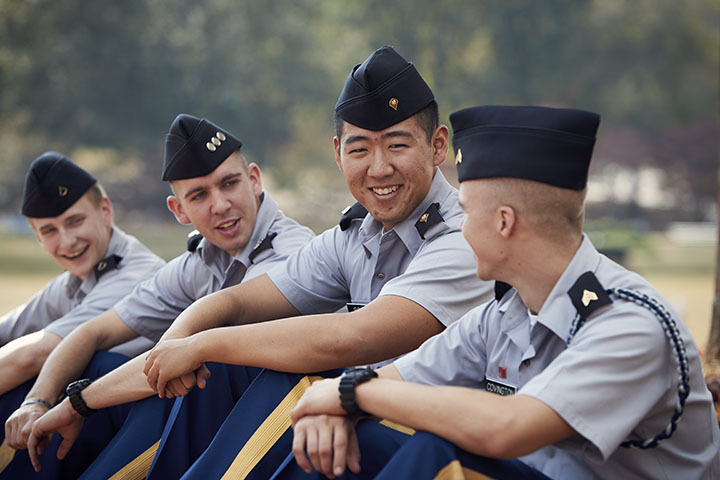 As a University of North Georgia (UNG) senior in the Corps of Cadets, Anthony Twitty has experienced several parades on the drill field. 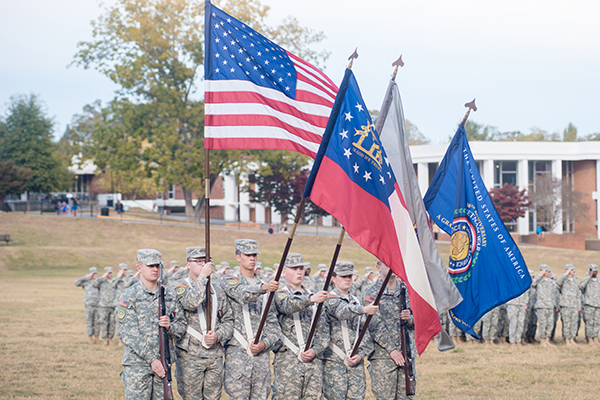 But the Veterans Day parade on Friday, Nov. 10, on the UNG Dahlonega Campus will be a little different. The 23-year-old Ringgold, Georgia, native is a combat veteran, along with some others in the Corps. "It is an honor to serve, because not everyone has the opportunity to serve their country," said Twitty, who served with the U.S. Army 716th Engineer Company from July 2015 to March 2016 in Kuwait and Iraq. 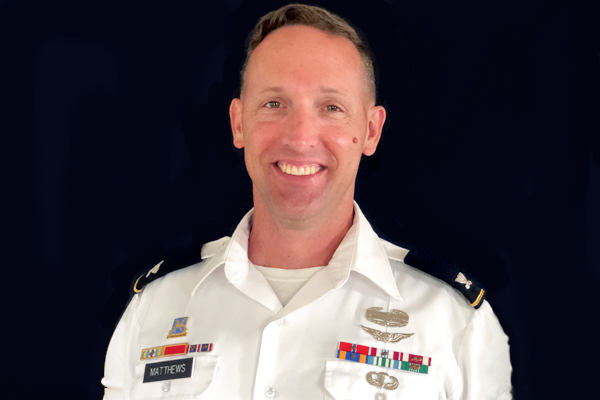 Twitty will be one of several active and retired military veterans recognized at two separate events Nov. 10 on the Dahlonega and Gainesville campuses. The Friday events will mark the end of a week filled with military-related activities honoring all five branches of the U.S. military — Army, Navy, Marines, Air Force, and Coast Guard — leading up to the nationally observed Veterans Day on Nov. 11. The UNG Veterans and Adult Learner Program (VALP) is organizing events on both campuses. On the Gainesville Campus, the final event will be the Memorial Roll Call from 10 a.m. to 2 p.m. Friday, Nov. 10, at the Student Center. Volunteers will read aloud the names of all U.S. soldiers who died from 2001-17. 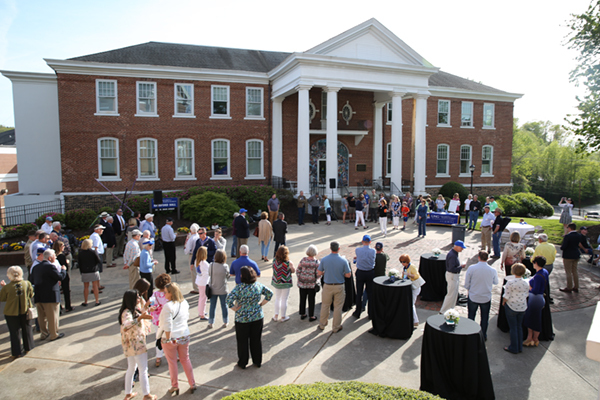 Among those names will be eight UNG alumni, including Weston C. Lee, Thomas E. Vitagliano, and Charles H. Warren, all in Iraq; and Jeremy A. Chandler, Andrew H. McConnell, Kevin M. Jenrette, Paul Saylor, and Mitch Young, all in Afghanistan. Each volunteer will say the names in 15-minute increments, said Christy Orr, assistant director of Student Life and VALP. "Faculty and staff love to come out and volunteer to call out names to show their love and appreciation for the military," she said. "Some even ask to add the names of a loved one who served in World War II." VALP students will sell flags and place them in front of the Student Center to show their support for veterans. "The money we make will be donated to the homeless veteran shelter," said Luke Forseman, an intern in the VALP office and an Army veteran. A military history van will be on campus, displaying military weapons and memorabilia from different eras. "Students can see what it was like to be a serviceman in those times," Foresman said. Dahlonega events will culminate with a Veterans Affairs' sponsored cookout from 10 a.m. to 4 p.m. Friday, Nov. 10, on the Hoag Patio, said Mandi Norton, staff assistant with VALP. Followed by the National Roll Call as well. The Corps' parade will be at 3 p.m. Nov. 10, with Mike Roby, the commissioner of the Georgia Department of Veterans Services, as the guest speaker. 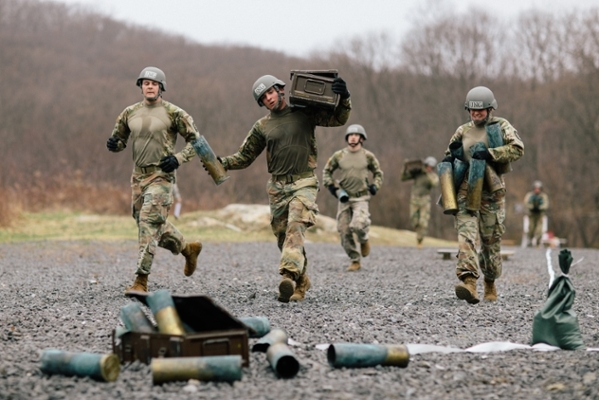 "As a senior military college, we feel it is our duty to honor our veterans," said retired Maj. Richard Neikirk, assistant commandant of the Corps of Cadets. "I am proud of the Corps of Cadets for conducting a parade to honor our veterans."